It is a fact that the fundamentals of game design are very easy and does not require much technological expertise. However for the creation of the high-quality video games, it is necessary to understand the game from various perspectives such as software engineering, film, visual design, psychology and so on. This book offers an extensive information from these fields to make game designing easy. This book is mainly targeted towards game developers whether they are beginners or experienced. Any design, whether it is a complex control system or a video game, is a culmination of many practices and concepts that are drawn from various disciplines. This is one of the best game design books that offer detailed information about various design concepts that are applied in practice. The author offers a visual illustration of various concepts such as chunking, 80/20 rule, story-telling and Ockham’s razor. It also offers 100 design concepts that are targeted towards students, architects, engineers and designers. 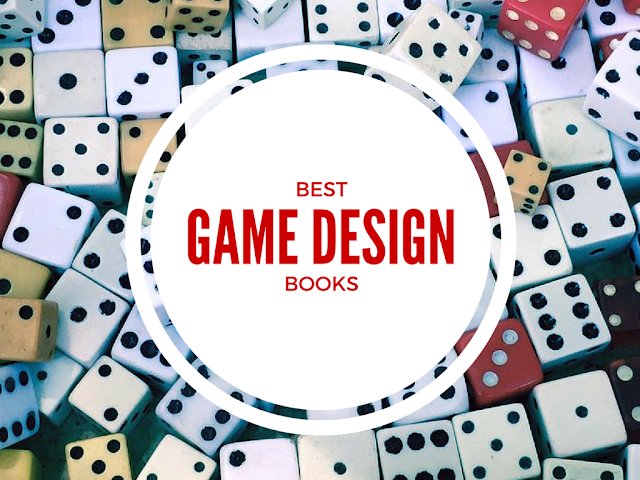 If you want to design the latest high-quality video games but do not know where to start, this game design book is the best choice. It offers comprehensive information that starts from inspiration to the production of the game with illustrated examples. Written by an author who designed various popular games such as SpongeBob Squarepants and Pac-Man World, it is a great book to get acquired with game design. A good game design book, this is a must-have in your library if you are a video game design professional or planning to create a top-quality video game. Written by an award-winning professor, it combines three disciplines that include concrete rapid-prototyping practices, programming skills and game design theory. If you need a serious challenge to hone your game designing skills, this is one of the best books for you. It is mainly targeted towards instructors, aspiring and professional designers. The exercises provided in the book offer interesting puzzles that enable the reader to have fun as well as learn how to design top-quality video games. Every chapter offers a new topic, its overview and five challenges for study. One of the biggest challenges faced by any game developers is the completion of the game. Often, the main reason behind this issue is the complexity required in coding. Specifically written to resolve this issue, the book offers information about recognizing the specific patterns and enables the reader to optimize the game. The author offers detailed information such as writing a robust game loop, organizing the game as independent functions, identification of coding patterns and resolving coding issues. Learning how to design a video game has become a fun activity with one of the best game design books. The author has used a unique approach with a visual storyboard and narrative about the practice of designing games. Further, it offers information about different elements of designing video games with an element of fun. The book works as an inspiration not only for targeted groups such as the video game professionals, but also for other software designers. This book is specifically created as a reference point for game developers. The book essentially presents 15 smart rules that allow free-to-play game creators to create games which will get commercial success. It offers in-depth information regarding various concepts with clear and illustrated examples from real games. It’s probably the best guide book for F2P (free to play) game designers. This book offers you a great opportunity to be aware of the intricacies of design structure behind hit video games of today. Further, you can get in-depth information about the practices and principles behind the crafting of various games. You can also learn how to create the appropriate game mechanics for representing a range of human emotions. In addition, you’ll learn about keeping a project on track, the market position of your game and avoiding creative dead ends. Referred as the bible by many game designers and written by authors who are famous games developers, this book covers topics such as integration of a good story with the game, writing the script for the game, creation of design documents, information about license and intellectual property, and finally, building games which emotionally involve the gamers.